I've never had an original radio. Out of the three Jensens I've had, including parts cars, one had no radio, one had a British Leyland AM/FM dealer installed one, and one had a cheap Radio Shack aftermarket radio. This was my solution, installed about 4 years ago. 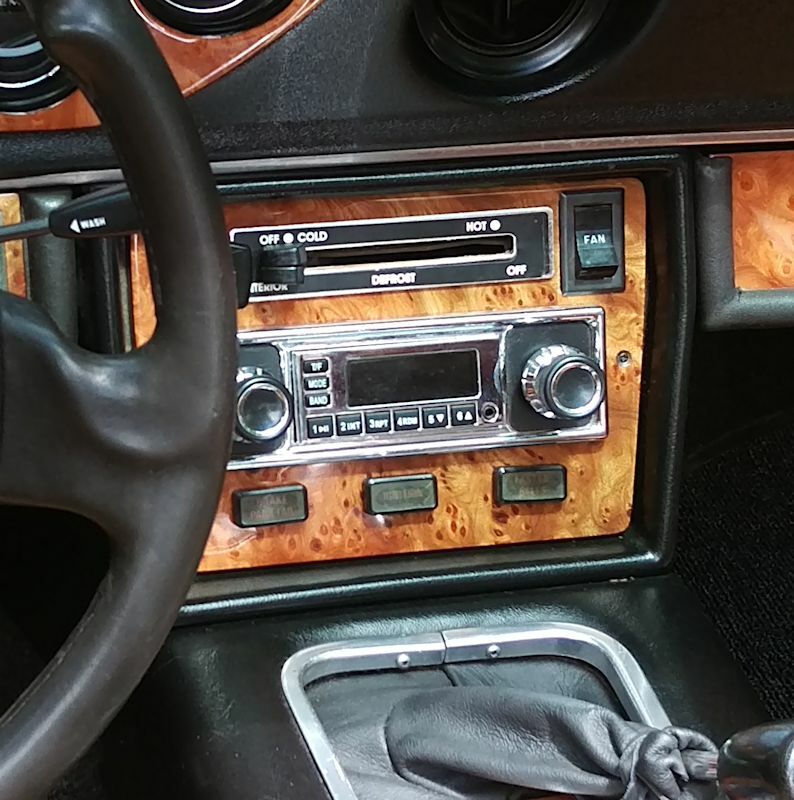 It's a Retrosound AM/FM/MP3 deck, designed to fit classic cars. I think it looks very period correct. Love the OEM radios. If anyone ever comes across a working cassette model for sale I'd love to hear. The PO had a 'newer' Alpine unit and I replaced with a more vintage Pioneer KE-5100.